The Spares make twangy, bluesy, roots music—call it alt-country or Americana. The Chicago duo writes and sings about characters in hard places whose stories hint at love and truth in ways that the characters themselves don’t always recognize. Their lyrics are thoughtful and honest, just as their acoustic music is raw, beautiful, and compelling. Jodee Lewis and Steve Hendershot formed The Spares in 2004, and in 2005 released the group's first CD, Hand Me Down. Roots Music Report called the CD "one of the finest Roots Rock/Americana albums to be released in 2005," and the lead song, "Mexico," was named Best Song -- Country" for 2006 by the International Academy of Independent Artists. The Spares toured throughout the Midwest, garnering comparisons to Allison Krauss & Union Station, and Emmylou Harris and Gram Parsons. Now The Spares are releasing a second CD, Beautiful and Treacherous Thing. As on Hand Me Down, the pair shares songwriting duties on this collection of songs about the volatility, longing and worth of the heart. Missouri-native Jodee Lewis was a chemical engineer before co-founding The Spares. Steve Hendershot, originally from Michigan, is also a journalist. Jodee and Steve are frequently joined in the studio and on the road by Troy Bartholomew on drums, Jason Reed on mandolin, and Doug Zylstra on bass. ps: one of the Best here! * Your song 'Chapel of the Winding Road' has just been added to Rivergods Radio station! * Your song 'Waiting for the Smoke to Clear' has just been added to highway 66 WITH PIP & merry station! * Your song 'Waiting for the Smoke to Clear' has just been added to COUNTRY AFFAIR with pip & merry station! * Your song 'Chapel of the Winding Road' has just been added to Eagletalents Radio station! * Your song 'Mexico' has just been added to Eaglehead's Big Bundle O' Tunes station! * Your song 'Mexico' has just been added to THE COOL TUNES station! * Your song 'Chapel of the Winding Road' has just been added to Drunk Appalachian Rapture station! * Your song 'Chapel of the Winding Road' has just been added to The Best (imho).... station! * Your song 'Waiting for the Smoke to Clear' has just been added to The Best (imho).... station! * Your song 'Mexico' has just been added to Mi Amigo Jesus station! * Your song 'Allentown' has just been added to KIAC Hitline station! * Your song 'Waiting for the Smoke to Clear' has just been added to Roy Muniz and Friends station! * Your song 'Chapel of the Winding Road' has just been added to What the Folk! station! * Your song 'Mexico' has just been added to Swamp Thang station! * Your song 'You and the Moon' has just been added to highway 66 WITH PIP & merry station! * Your song 'You and the Moon' has just been added to COUNTRY AFFAIR with pip & merry station! * Your song 'Mexico' has just been added to Mexico station! * Your song 'Valley of Vision' has just been added to Mystic River Radio station! * Your song 'Mexico' has just been added to CHIMES OF FREEDOM RADIO FM station! * Your song 'You and the Moon' has just been added to Water on the Moon station! * Your song 'You and the Moon' has just been added to CHIMES OF FREEDOM RADIO FM station! * Your song 'Chapel of the Winding Road' has just been added to Eagletalents Acoustic Air station! * Your song 'Allentown' has just been added to highway 66 WITH PIP & merry station! * Your song 'Allentown' has just been added to COUNTRY AFFAIR with pip & merry station! * Your song 'Allentown' has just been added to FOUR;S COMPANY with pip & merry station! * Your song 'You and the Moon' has just been added to Four and Twenty station! * Your song 'Mexico' has just been added to Four and Twenty station! * Your song 'Chapel of the Winding Road' has just been added to Four and Twenty station! * Your song 'Allentown' has just been added to Four and Twenty station! * Your song 'You and the Moon' has just been added to Over The Moon station! * Your song 'Allentown' has just been added to MOUTAIN RADIO FM station! * Your song 'Chapel of the Winding Road' has just been added to The Turnstiles station! * Your song 'Chapel of the Winding Road' has just been added to whim station! * Your song 'You and the Moon' has just been added to IAC Radio One station! * Your song 'You and the Moon' has just been added to Coffeehouse station! * Your song 'You and the Moon' has just been added to Dirt Road Empire station! * Your song 'You and the Moon' has just been added to Drunk Appalachian Rapture station! * Your song 'Chapel of the Winding Road' has just been added to Heartland station! * Your song 'Mexico' has just been added to KIAC Hitline station! IAC Your song 'Waiting for the Smoke to Clear' has just been added to Back to the Shack station! 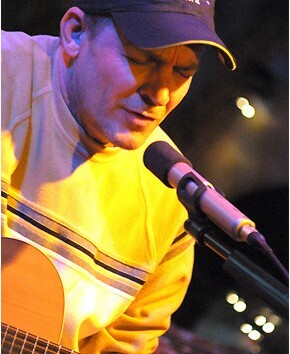 IAC Your song 'The Ballad of Columbus Bill' has just been added to Ray's Acoustic Station station! * Your song 'Mexico' has just been added to blisss station! * Your song 'You and the Moon' has just been added to The Silver Dollar Survey station! IMP Your song 'Mexico' has just been added to Wall of Doors station! IMP Your song 'Waiting for the Smoke to Clear' has just been added to Desperado Revue station! IMP Your song 'The Ballad of Columbus Bill' has just been added to Desperado Revue station! IMP Your song 'Mexico' has just been added to Kayak Classics station! Visit thespares.net, and if you're in Chicago, come to our CD Release Party at Schubas on 12/19/06.